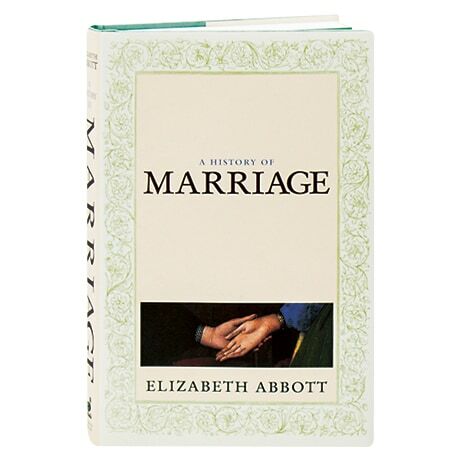 (Finalist for the 2010 Governor General's Award) What did getting married mean to ordinary people 100—or 500—years ago? How long did an average marriage last and what were a couple's alternatives to staying together? And who singlehandedly made the white wedding dress fashionable? Here the author of Mistresses: A History of the Other Woman sheds light on the institution of marriage, looking at such practices as arranged marriage, child brides, and "spousal"—whereby a medieval European couple simply declared themselves married—and the marriages of today, which are shaped by such factors as money, race, incarceration, physical abuse, and sexual orientation. Among the figures discussed here are Jane Austen, Queen Victoria, and Ellen DeGeneres, and black and white photographs appear throughout the book.